WHAT DEFINES A GOLDEN GENERATION? It ought to be the glorious manifestation of the very peak of youth development; not just a gem or two, but a whole diamond mine, sparkling with medals and trophies as proof of their worth. In reality, it is a term that is often lazily strewn around to label a group of standout players, offering them a regal sheen that they sometimes do not fully live up to. Expectation is built up, targets are optimistically installed, and a sense of divine right to success ensues, from the media and public at least. Take England’s 1993 under-18 European Championship-winning team; the likes of Sol Campbell, Robbie Fowler and Gary Neville went on to play in the upper echelons of football, Neville in particular winning trophies galore, but what of the skipper Darren Caskey? Or Mark Tinkler? Naturally, the pressure builds until the players themselves become less important than statistics and comparisons with great players from the past. That some players fail to maintain their initial promise is inevitable, but even a fruitful top-flight professional career cannot offset the failure to fulfil potential in many eyes. In this warped, modern sense of the term, Ivory Coast’s national team of the last decade or so definitely fits the bill. Yaya Touré, Gervinho, Kolo Touré, Didier Zokora, Arouna Koné and Dider Drogba all burst through into the Holy Grail that is European football a number of years ago for teams across the strongest leagues in the world, but all they have to show for the talent as a collective was last month’s African Cup of Nations victory in Equatorial Guinea. Near misses have tortured fans of the Elephants as even Zambia refreshed old memories of the great Kalusha Bwalya by beating the Ivorians to the title three years ago, so the outpouring of euphoric ecstasy was hardly a surprise. Champions League winners and serial club trophy collectors deserve acclaim for their undoubted talent, but perhaps the real credit lies with the centre that spawned the majority of such a remarkable group: the Mimosifcom academy in Abidjan. Founded in 1993 by Jean-Marc Guillou, the former French international who gave Arsène Wenger his first break in management when appointing the current Arsenal boss as his assistant at AS Cannes a decade earlier, Mimosifcom is a truly unique setup. While it is not uncommon for African clubs and academies to have links with European clubs, the methods that Guillou established in the ‘90s were brilliant in their originality and simplicity. His attentions were aroused when his signing from ASEC Mimosas, Youssouf Fofana, was a hugely popular and successful addition to his side, and he headed back to the West African nation convinced there were more youngsters with boundless raw talent to be unearthed and polished into superstars. The road from dusty kick-abouts with sandals for goalposts to pristine turf in enormous temples of football is a notoriously treacherous one. Mimosifcom have one huge advantage over most other academies in the region, however – they are the feeder academy for ASEC Mimosas, the most celebrated club in Ivorian football, where their graduates can develop an early sense of competitive football without having to be uprooted to another continent. ASEC won the African Champions League in 1998, so there is not such desperation to leave at the first opportunity, allowing for a slightly fuller education in the players’ homeland. It is entirely unrealistic to expect the most promising youngsters to limit their career ambitions to Ivory Coast, however. Instead of fighting the drain of talent, a relationship was formed with K.S.K Beveren where the cream of the crop could be farmed out to facilitate their integration into Europe – the laws about citizenship are famously more generous in Belgium, so young Ivorians would have little trouble finding game time without being thrown too far into the deep end too early in their careers. It was an odd reversal of the usual relationship between the European clubs and outside partners. The morally questionable modus operandi for some wealthy backers has been to target a financially struggling club in desperate need of investment, stump up the relatively small sum to buy out the club, and use the new base as a breeding ground for their graduates as they please. Qatar’s ASPIRE academy, which acquired a 100% controlling stake in KAS Eupen three years ago, controls the running of the first team, installing their chosen coaches but also committing to supporting the local community. 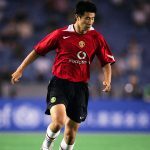 Manchester United formed a less fruitful partnership – as far as foreigners were concerned – with Royal Antwerp in 1998, where youngsters without the necessary international experience to qualify for a work permit were sent. Dong Fangzhou spent two-and-a-half seasons on loan until he was granted a UK work permit having played the prerequisite proportion of international games for the Chinese national team. Without question the most fruitful partnership was forged by Wenger once he had taken the reigns at Highbury between the Gunners and Beveren. Using his history with Guillou, the chain that began at the Sol Beni complex in Abidjan was extended beyond Belgium to North London, as the new recipients of EU passports were invited to train with Arsenal. The “technical partnership” did not involve an exchange of money, but as a two-fold feeder club; the young players already on the English club’s books were allowed to gain experience, while fresh talent from Abidjan arrived in Belgium to effectively trial for one more move overseas. Emmanuel Eboué and Kolo Touré are the two most notable players to have made the journey; the latter was already national team captain at 22 when he signed in 2001, so was not dependent on a Belgian passport. Younger brother Yaya, however, was still very much an unpolished, gangly midfielder who had crucially not gained the same experience. A similar break into the English game had to wait a further seven years after his 2003 trial with Arsenal remained just that as he ran out of patience waiting for a Belgian passport and joined Metalurg Donetsk in Ukraine instead. In a purely legal sense, no laws are being broken as long as the players are 18 or over at the time they are sent abroad, so for ASEC Mimosas and their academy to have had a linkup such as the one with Beveren can surely be recognised as a positive – offering their young stars the chance to further their careers. Unlike many similar setups around the globe, there is not a huge intake; at the moment, there are only 34 youngsters on the books, and they receive greater attention than they might do at other academies as it is run as a team itself. There are medical facilities as well as schooling to ensure all graduates have at least the minimum level of education for primary school pupils. Now, the age of the youngsters is only 14-18, so the focus is mostly on preparing them for life after the academy; once they are of age, they can smoothly transition into the senior team ASEC Mimosas and continue their education. It isn’t just the opportunity to play their own graduates at the top level of the domestic and continental game, but the trust shown in them. After the historic CAF Champions League win in 1998, which had been won with a senior team produced largely from the Mimosifcom academy, ASEC were drawn against the Tunisian side Espérance in the Super Cup the following February. When the Ivorians sent out a team entirely made up of their Mimosifcom academy stars, their opponents, marshalled by former Bolton Wanderers centre back Radhi Jaïdi, were furious that such an apparent lack of respect had been shown. They were left even more shell shocked when they needed a last-minute penalty just to take it to extra time, after the teenagers had danced around the North Africans with a confidence and understanding they had never seen before. The exuberant ASEC graduates, including Kolo Touré, Didier Zokora, Boubacar Barry and Aruna Dindane, secured the club’s second continental trophy in a matter of months thanks to substitute Dindane’s goal and Venance Zezé’s second. The kids had been allowed to live their dream. The swagger and joie de vivre is an important part of the identity of ASEC, but it should not be confused with arrogance. Guillou’s impact was not about being a disciplinarian; if anything, he didn’t have a particularly studious approach to the game, in contrast to his protegé at AS Cannes, Arsène Wenger, whose attitude towards coaching Guillou labelled as ‘Stakhanovism’. He makes the youngest recruits play barefoot, without shin pads or even goalkeepers, placing the emphasis firmly on ball control and possession football. After leaving his role as director of the Mimosifcom academy, he set about expanding his vision for youth development across the world, establishing Jean-Marc Guillou Academies in Tunisia, Thailand, Madagascar, Egypt, Ghana and Mali, with varying degrees of success. The Tunisian academy’s under-17 age group side were invited to play against Villarreal’s under-19 team, only losing 3-2. Strong performances against counterparts representing the finest teams in Europe, including a 0-0 draw at La Masia against Barcelona’s youth team, are further proof that the romantic idea of playing football for pure joy is not simply a foolhardy idealistic pursuit. Tactical nous and discipline are vital components of a young footballer’s development, but there are different ways and stages of a career to implement this progress. The motto of Association Sportive des Employés de Commerce, when it was founded in 1948 by workers from Ivory Coast, Burkina Faso, Ghana, Togo, Senegal, Lebanon, Benin and France, was “Children Have Fun”, and this ethos has been maintained to the present day. Kolo Touré was effusive in his praise for Guillou’s unique approach, as Sandals For Goalposts reported. “He’s our father. Our spiritual father. Without him and his utopian idea of coming to Africa, we would never have had a chance. He facilitated it all.” Such loyalty is a trademark of all truly great youth coaches – talented young men need direction, but once they find it, their work rate and dedication will rise exponentially. Take Manchester United’s ‘Class of ’92’; any interview with Gary Neville, Paul Scholes or David Beckham about their football education invariably sees them pay tribute to the unrelenting drive of one another as they strove towards a clear target laid out for them by Sir Alex Ferguson and Eric Harrison. John Terry, Frank Lampard and Didier Drogba would strain every sinew for José Mourinho, because he has always taken the time and effort to foster a paternal guardianship over his charges. When Guillou established the MimoSifcom Academy in the early-90s, he turned to Wenger for assistance. The understudy was approaching the end of his spell as manager of AS Monaco, where his unerring eye for talent – and masterful skill at nurturing it – had continued with players such as World Player of the Year George Weah and African Player of the Year Viktor Ikpeba. Guillou would no doubt have approved of the fabulously entertaining style that had also attracted mavericks such as Glenn Hoddle and Jürgen Klinsmann to the glamorous principality, and sought to set up a route for his academy pupils into Europe. Although Wenger only remained a few months longer at the helm, his influence was undoubtedly vital in persuading the Monagesque establishment to offer essential financial backing to help get the academy in Abidjan off the ground. Although the sums involved in the running of Mimosifcom are miniscule compared to most modern global super-academies, it is still enough to need outside backing. Towards the end of the millennium, with Wenger already making huge waves with his swashbuckling Arsenal side brimming with continental flair, the pair’s paths crossed again. This time, through the deal struck with Beveren to be the English club’s feeder, the dream of harvesting and nurturing the finest African talent that had been born 15 years earlier in Cannes, continued. At first glance, it is an entirely understandable and commendable approach. Offering instant riches could corrupt the direction of a young man’s career, but by ensuring a philosophy of education was maintained through a gradual progression to the bright lights of London via Belgium, continuity was ensured. The contrasting styles of Guillou and Wenger make the perfect foil; the former instils passion for ball control with an enthusiasm for the game, while the latter completes the process of instilling tactical discipline, fitness and an awareness of the importance of nutrition and science. About ten years ago, accusations tantamount to child trafficking were made into the practices of Arsenal and Beveren’s relationship, but it must be remembered that clubs such as Beveren rely on the link up with much bigger parent organisations such as Arsenal to keep them afloat. The academies that produce the young players in the first place could not survive without a steady source of income from selling their graduates. These challenging circumstances have forced Mimosifcom to be innovative. The combination of education, enjoyment, continuity and success ensured that they managed to unearth possibly the greatest generation of players in Africa for decades, but what about the newest crop? As with all Golden Generations, the following groups that come through have the thankless task of having to live up to their illustrious predecessors. When the Touré brothers came through, ASEC were in the middle of a run of 15 out of a possible 17 league titles, but there have only been two titles since 2006. The historic CAF Champions League win in 1998 seems a long way off; ASEC stumbled to a 1-1 draw at home to Al Ittihad of Libya recently in the preliminary rounds of the CAF Confederations Cup, the second tier continental competition. It may be hard to know when it will happen, but if West Africa is going to see another Golden Generation, there’s every chance Mimosifcom will host it.